Police were called to break up a fight on a train after rowdy passengers kept placing bagels on other travelers’ heads. British Transport Police (BTP) arrived at Potters Bar station in Hertfordshire just after 1am on Sunday after being alerted to passengers “fighting and intimidating others,” according to the Press Association. 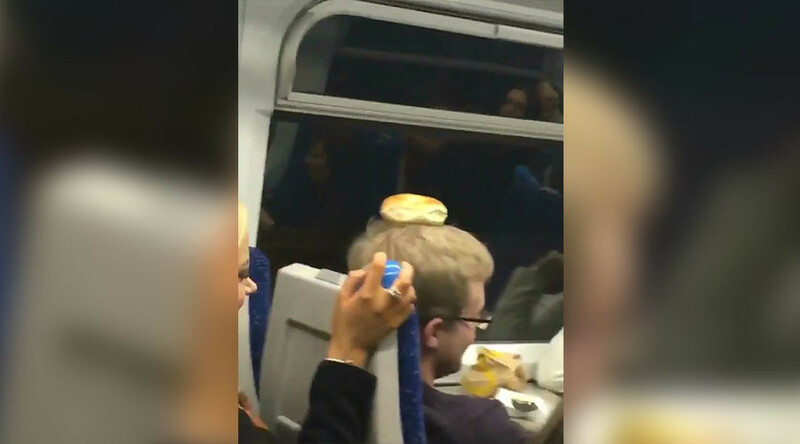 A video on Twitter, ‘favorited’ more than 18,000 times, shows bagels placed on top of two passengers’ heads. It also shows two women placing the baked goods on the head of a man sitting in front of them. The man throws the chunks of bagel out of the carriage window. 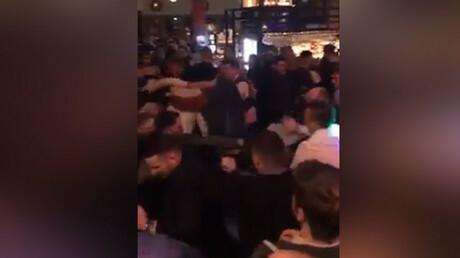 The video appears to show three separate fights erupting before a brawl eventually spills on to the platform. Police were eventually called, and can be seen boarding the train as the carriage becomes hushed and passengers sit in silence. The train was held for 18 minutes while officers took statements. Passenger Dougie Stew, 25, recorded the footage on the Great Northern service as he traveled home from London to Hatfield, Hertfordshire. “There were two different events going on. One was a verbal then physical fight between two groups of girls, the other was an onslaught of bagels to a random guy’s head,” he told the Evening Standard. “It seemed like the girls behind him had a never ending amount of bagels on them to the enjoyment of the rest of the carriage but not to the poor guy. “Then it all kicked off at Potters Bar where another group started fighting and took some of the lads outside to settle their differences. “By Hatfield everyone was best friends again,” he added. No allegations of assault were made and there were no arrests.